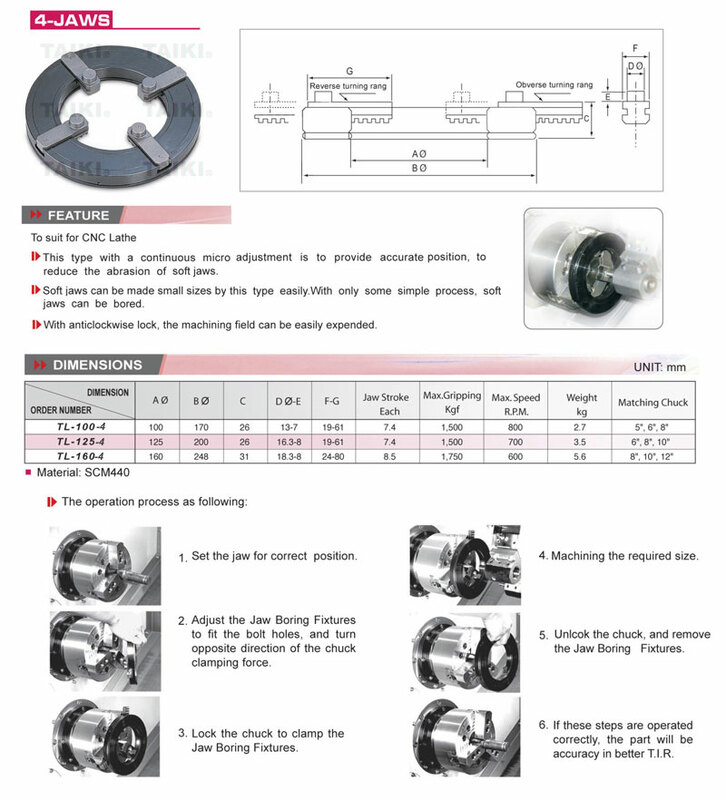 Jaw Boring Fixtures (4 - Jaws)(TL-160-4) - Taiki Industrial Co., Ltd. The jaw boring fixtures (TL-type) is with a continuous micro adjustment is to provide accurate position, to reduce the abrasion of soft jaws. Soft jaws can be made small sizes by this type easily, with only some simple process, soft jaws can be bored. With anticlockwise lock, the machining field can be easily expended. For detailed specification and operation process, please download PDF.